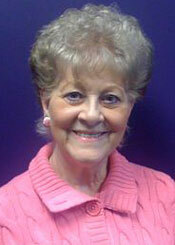 Lorie has over 50 years’ professional experience in the administrative arena. After a fulfilling career with the Federal Government in various roles such as working for the US Attorney’s office, she went on to serve the Chief Federal District Judge, for the Eastern District of Virginia for 18 years before retiring. With the launch of her daughters’ company, Lorie came back into the work force to assist with the demanding organizational needs of the business. Lorie is critical in the file management and contract administration of the organization. Her pleasant demeanor and wonderful attitude radiates in all she does and has a positive influence on everyone she interacts with.